This is the best pumpkin pie recipe. 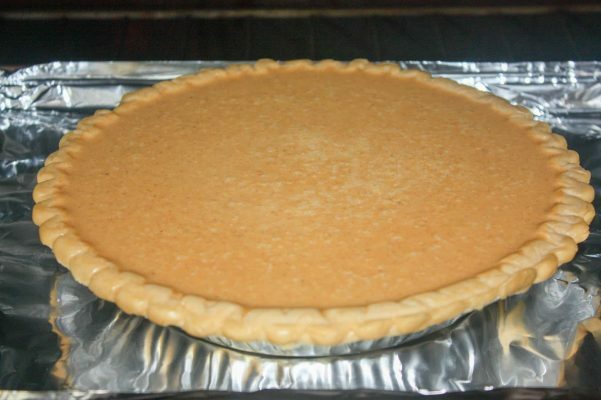 It’s the classic easy pumpkin pie recipe that you can mix together in about five minutes. It takes about an hour to bake and a couple more hours to rest. The pie is filled with pumpkin, evaporated milk, and the best fall seasonings including cinnamon, nutmeg, ginger, and cloves. 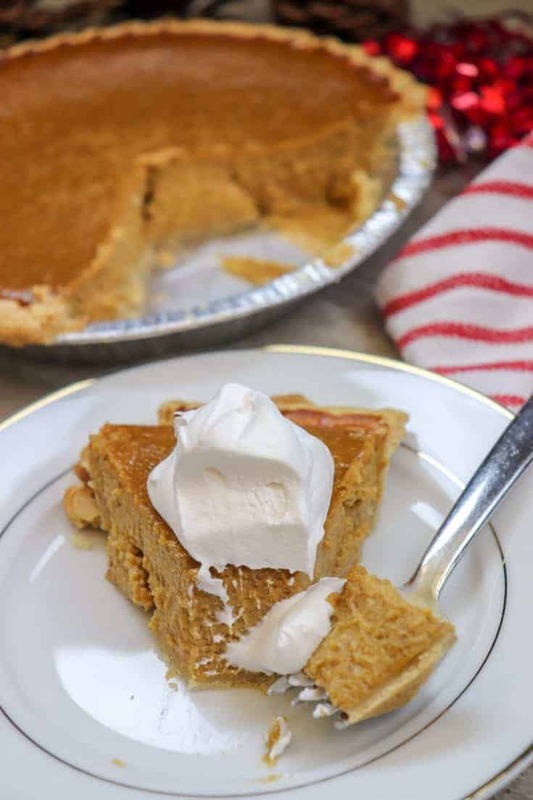 Pumpkin pie is one of those desserts that are a must around the holidays. It just doesn’t seem the same without it. I love this simple recipe because it’s just that, simple. You can make it a gluten-free pie with a gluten-free crust. I’ve bought gluten-free pie crusts at Whole Foods and they taste just as good. This recipe is pretty similar to the Libby’s recipe, but I add more spice to it. 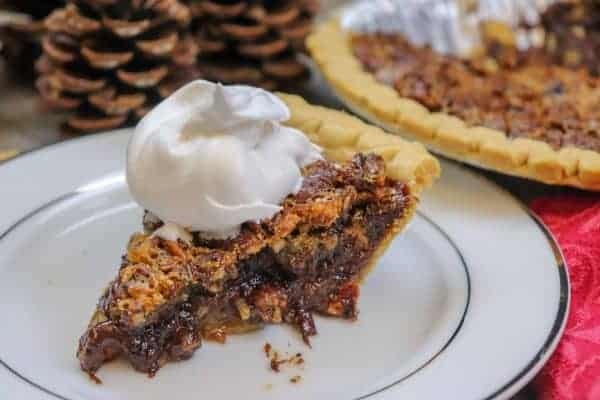 It adds a little more flavor warmth to the pie. 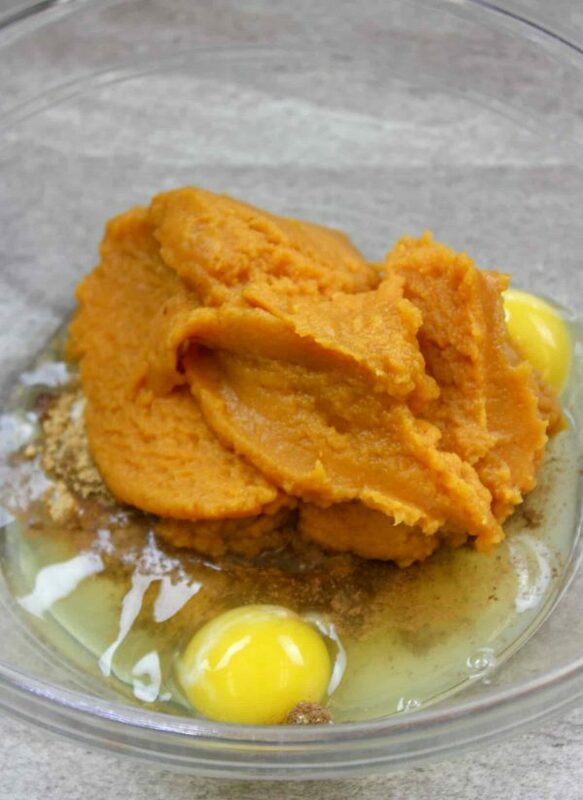 Canned pumpkin, eggs, salt, sugar, cinnamon, nutmeg, ginger, cloves, and evaporated milk all go into a pumpkin pie from scratch. You will also need a frozen or fresh pie crust. 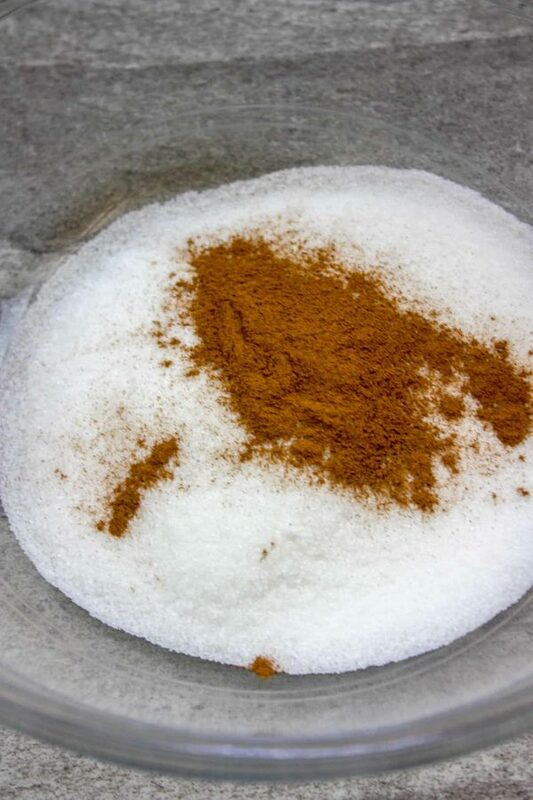 Add the sugar, salt, and cinnamon to a large bowl. Next, add the ginger, nutmeg, and cloves to the bowl. It’s already smelling pretty delicious at this point. 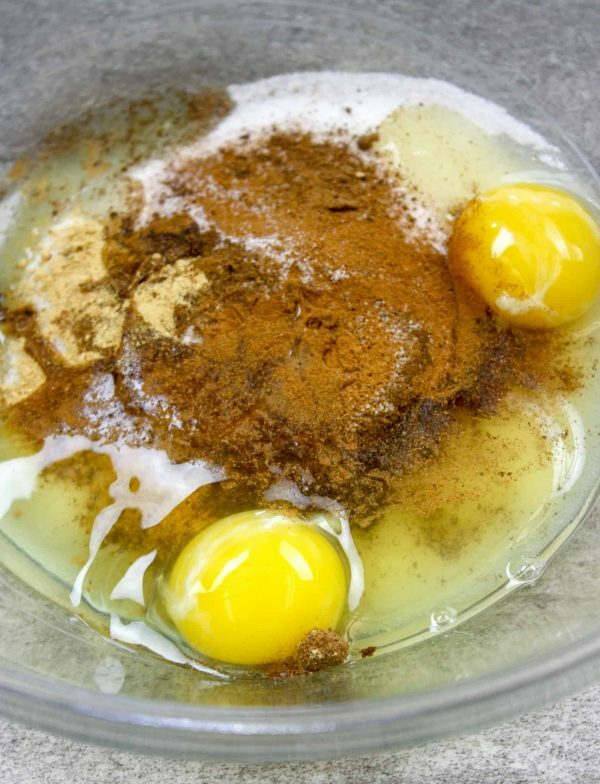 Add eggs to the mixture. The eggs will help keep the pie from getting too dry. Now, add the canned pumpkin. Mix everything together. Finally, pour the evaporated milk into the bowl. Mix everything together. Get a cookie sheet ready and cover it with tin foil. Place the pie shell on the cookie sheet. Pour the pumpkin pie mixture into the pie shell. 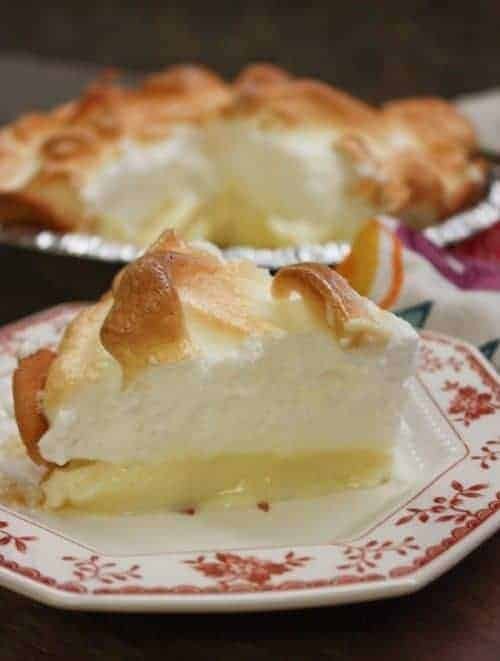 I usually suggest doing things in this order because once you add the mixture to the pie shell, it’s going to be very full and it’s easy to spill over. So, the less you have to move the pie, the better. 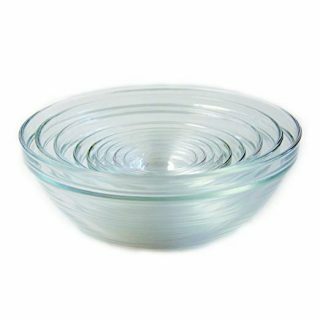 You don’t have to use a cookie sheet, but I also suggest this because if the pie mixture drips over for any reason while you’re moving it, it’s easier to clean up with the tin foil. When the pie bakes, the pumpkin mixture might rise a little, but it shouldn’t run over. Check the pie 3/4 of the way through the baking process. If the edges of the crust are starting to look like they are too brown, place a pie shield over the crust. If you don’t have a pie shield, you can use tin foil around the edges of the crust. Keep it on there until the pie is done baking. Bake the pie for a 15-minutes at 425-degrees. Then, lower the temperature to 350-degrees and bake for 50 more minutes. The pie will be done when a cake tester or knife comes out clean. I stick it right in the center to test for doneness. Let it cool for a couple of hours. It needs to set up. I try not to let my pies cool on top of the oven since the oven is going to be warm on the top, unless they are on a cooling rack. 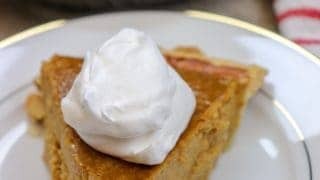 Pumpkin pie is delicious by itself, or you can add a dollop of whipped cream. This is the best pumpkin pie recipe. 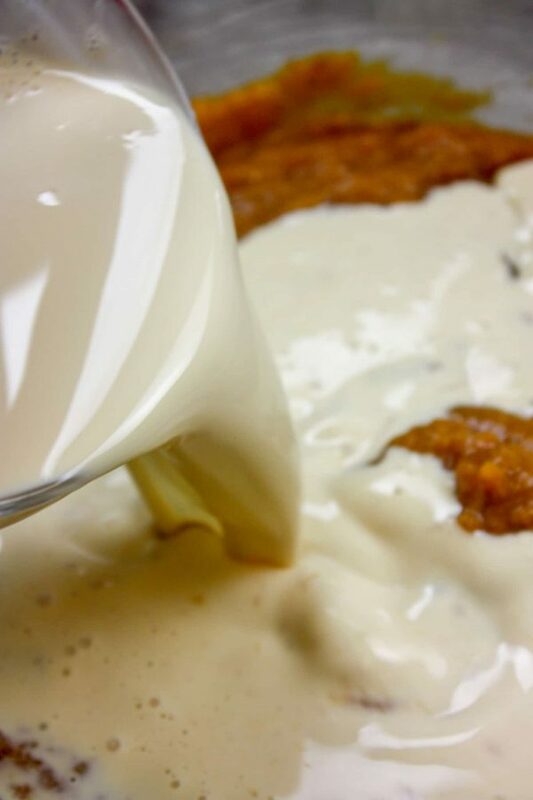 It's the classic easy pumpkin pie recipe that you can mix together in about five minutes. It takes about an hour to bake and a couple more hours to rest. 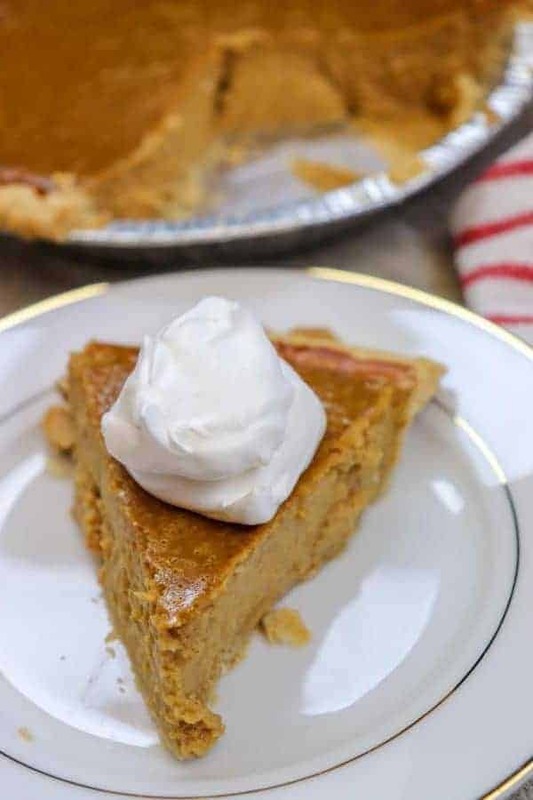 The pie is filled with pumpkin, evaporated milk, and the best fall seasonings including cinnamon, nutmeg, ginger, and cloves. 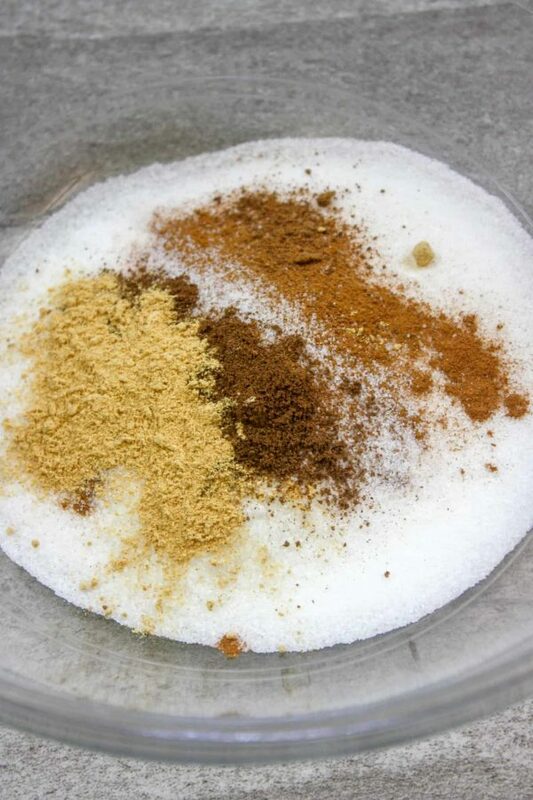 Add the sugar, salt, cinnamon, ginger, cloves, nutmeg, eggs, pumpkin and evaporated milk. Mix everything together well. Bake at 425-degrees for 15 minutes. 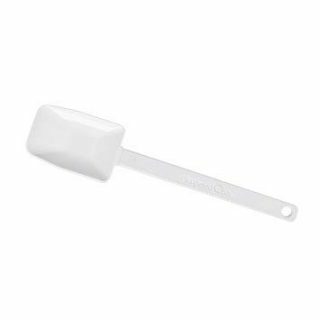 Lower the oven temperature to 350-degrees and bake for 50 more minutes or until cake tester or knife comes out clean. Let cool for two hours. Check the pie 3/4 of the way through the baking process. If the edges of the crust are starting to look like they are too brown, place a pie shield over the crust. 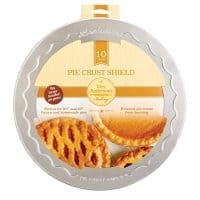 If you don't have a pie shield, you can use tin foil around the edges of the crust. Keep it on there until the pie is done baking.